Talk about being a dominant team in the CPBL. The Monkeys have won the 2018 second-half season title by defeating the Fubon Guardians 8-5 last night. 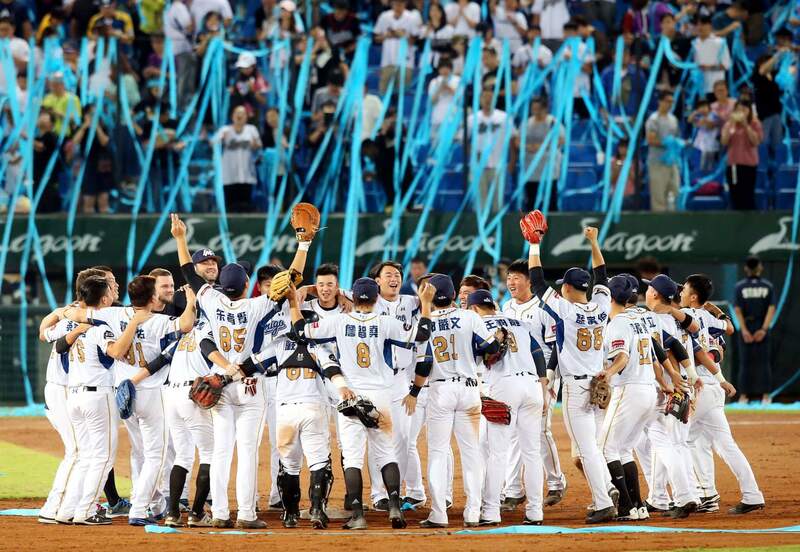 With the final strikeout by the closer 陳禹勳 (Chen Yu-Hsun), over 10,000 Monkeys fans tossed the streamers to celebrate the team for winning its 12th half-season titles in the franchise history. 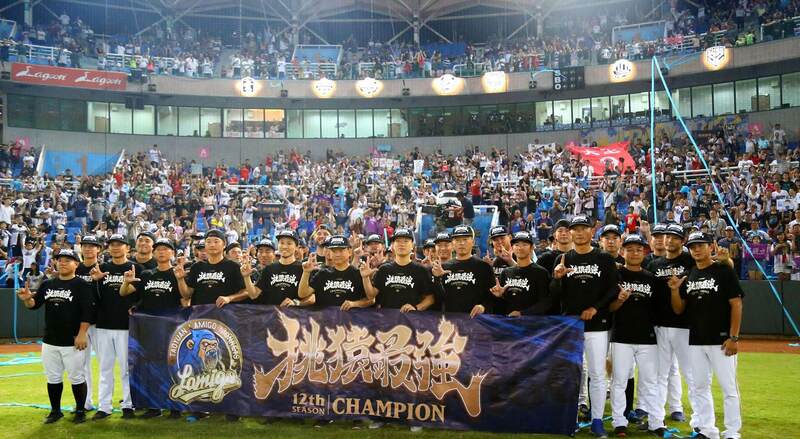 By winning the half-season title, the Monkeys also set a new CPBL record for winning four consecutive half-season titles. With the Monkeys winning both the first and second-half season title, the team have been awarded a one-game advantage in the 2018 Taiwan Series (Best-of-seven). The Uni-Lions and the Guardians will play a best-of-five series from October 19-23. The winner of the series will then advance to the Taiwan Series. The streamers is a great tradition. It looks like it would be huge amount of fun to be a part of. Yeah, financially, post-season games are so important for the team here. When think about it, it is kind of ridiculous that 3 out of 4 teams are in the playoffs. This “wild cards/ challenge round” rule was implemented back then when there were 6 teams. I guess the official just can’t be bother to adjust the rule to fit a 4-team league. You are right, financially it is good for the teams and for the local economy as well. I see it as a way to keep the enthusiasm of the fan as much as possible during the season. I believe it is a good thing. Specially for the fans that have something interesting to root for. perhaps a win win situation? Their operation philosophy is quite unique too. Instead of trying to compete with the other teams for “fans”, what they are doing is trying to compete with the cinemas, shopping malls and KTV. Trying to create an environment of going to the game and have fun. Win, loss, no matter.